This morning I was really disappointed to look outside and see more gloom and water; I was really hoping to take the kids outside for a while while Dan was at work. 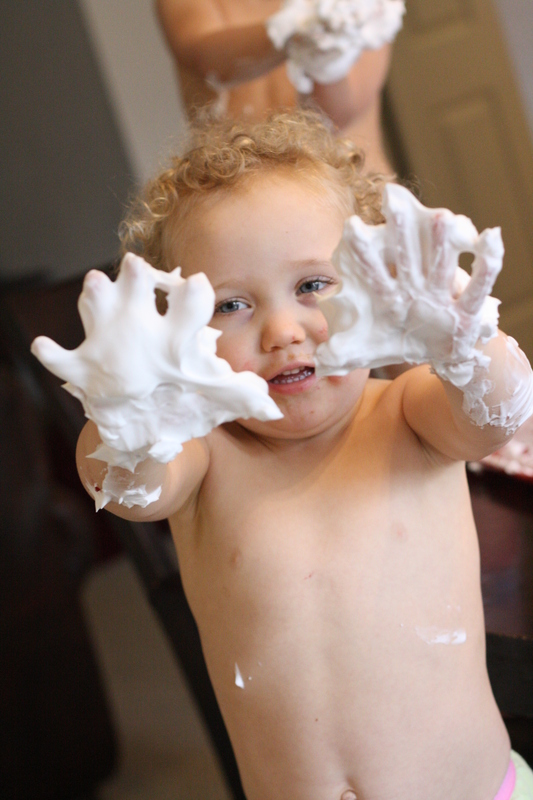 Oh well, guess we will have to stay in our jammies and be a little more creative…thank goodness for shaving cream!! So fun! What a great Mom you are! I love your blog and seeing the kids grow. 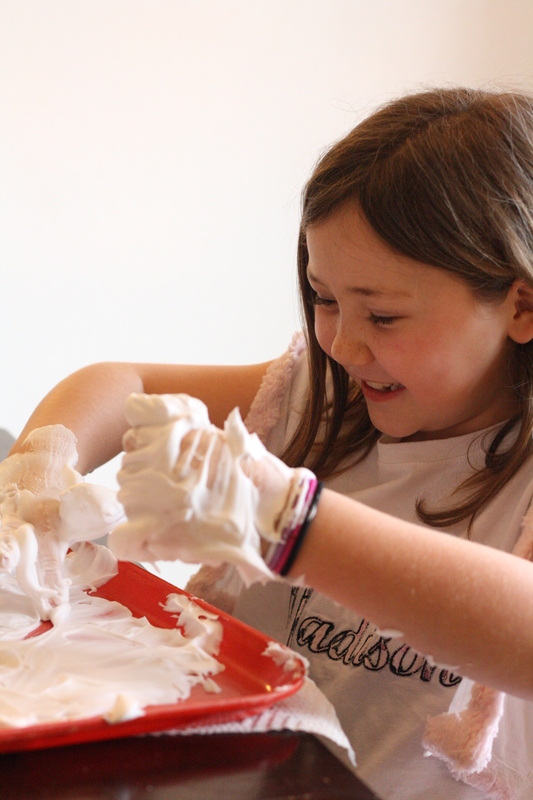 It is hard to believe that you have a 7 year old. Time flies. Great pics! Fun stuff! 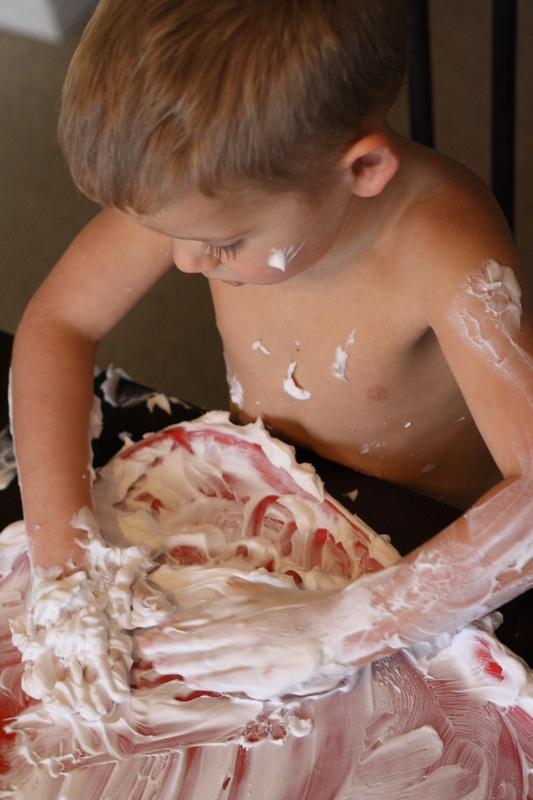 I haven’t done that inside since Corbett was a baby…that is an outdoor activity around here. 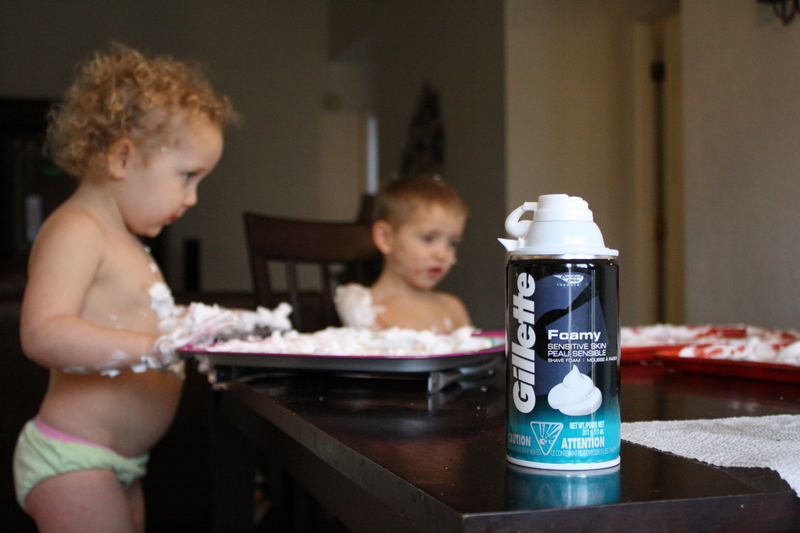 You are a brave mommy that can handle the smell of shaving cream! Looks like the kids loved it.